In mathematics, a representation is called “natural” if it is the simplest but also most straightforward way to express an idea. That's how a user interface should be designed as well — even if it takes a lot of work behind the scenes to make it happen. Natural Designs Software, Inc. was founded to pursue this idea. Software should work the way the user sees, thinks and acts, not the way that was easiest for the engineer to build it. 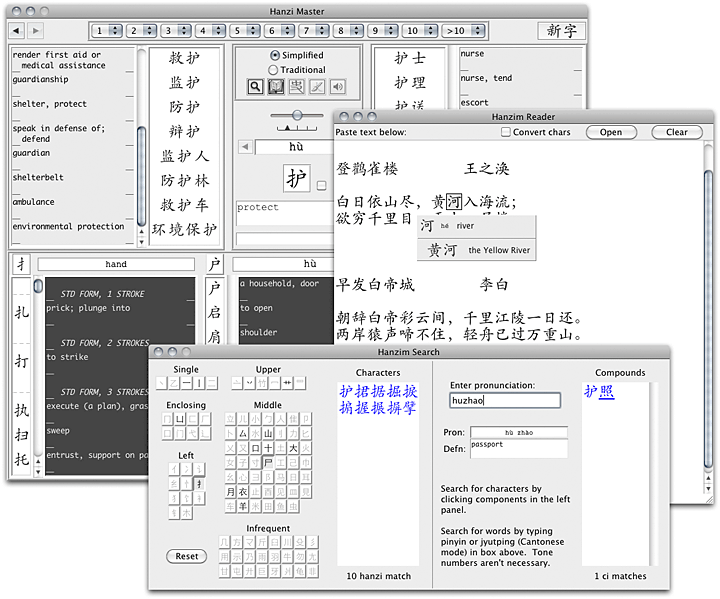 The current products are a Chinese language learning program for desktop and iPad, and an iOS custom on-screen keyboard designed for tablets. Musical and visual art creativity software is in the works. Our first program, Hanzi Master (“Hanzim”), grew out of experiences studying the Chinese language. The easiest way to make a dictionary is just a list of words arranged in some order. That's what's done on paper, and that's what most software does as well. But in the real world Chinese characters are tied together in a whole network of relationships by the component structure they share. Hanzi Master exposes this structure directly, arranging and linking characters by radical, remainder, sound, and word, and in addition allowing search by any subcomponent. When the structure the user sees matches what is being built up in the mind, learning takes place much faster. When the iPad came out, we were very excited about the new modes of interaction it provided. All of the sudden it was possible to be much closer to the software, and thus to the underlying structures it represents. We built iHanzim, an iPad version of Hanzi Master, to learn about this new medium while working in familiar territory. We copied a lot from the desktop interface, but many things we did differently as well. In some cases we even ended up going back and redoing something on the desktop because the experience of rethinking it for the touch interface helped us find a simpler way in general. 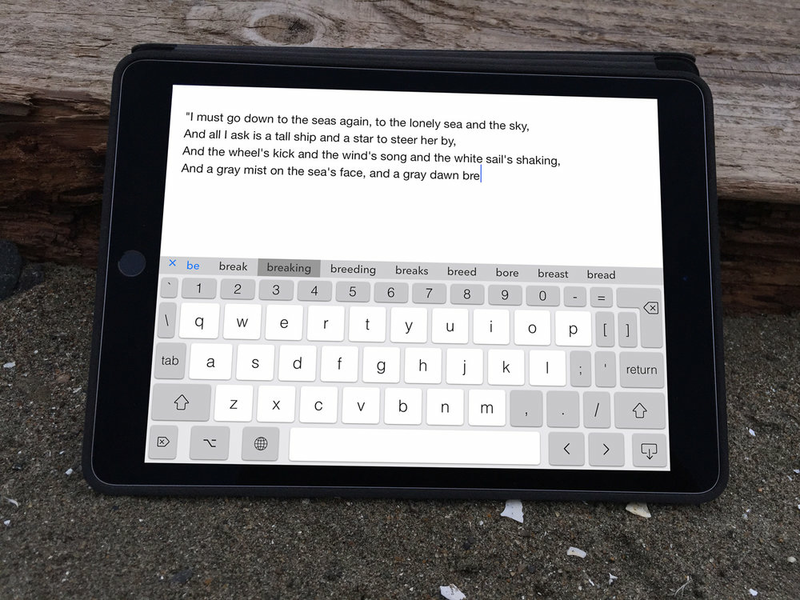 PadKeys Keyboard is a custom keyboard for the iPad. We never understood why Apple just took the same keyboard they'd designed for the iPhone and slapped it on the iPad with its 4x larger screen. On the phone it makes sense to sacrifice typing fluency with technical or expressive text to keep the keys a reasonable size. Not so on the iPad. When iOS 8 opened the door to third-party keyboards, we developed PadKeys. You won't find a lot of frills or fancy colors on this keyboard, but just the best, most natural way to type on an iPad. Natural Designs Software was founded by Adrian Robert in 2007. Adrian has a PhD in Cognitive Science from the University of California, San Diego, where he worked with Marty Sereno and Gilles Fauconnier and was greatly inspired by Ed Hutchins and the spirit of Don Norman. He has published research both on neural network models of brain functioning and cognitive semantic structures in mathematical practice.